Today, Nexon Europe is thrilled to announce the arrival of a brand new character, Arisha, to the immensely popular action-packed MMORPG, Vindictus. As deadly as she is beautiful, Arisha makes light work of her enemies with devastatingly swift sword attacks, extraordinary time-manipulation abilities, and an uncanny knowledge of the arcane. Equipped with a magical blade, the Spellsword, she can launch fierce, speed of light attacks at opponents, freezing time around them to deal lethal damage. While her Focus, the magically imbued glove she wears on her right hand, allows her to channel magical energy into razor sharp crystals, which she can fire at enemies. 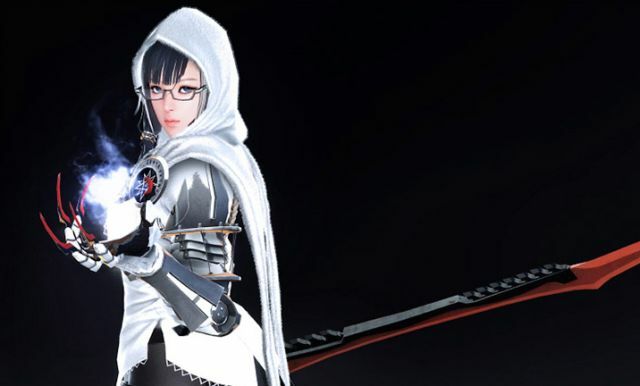 To commemorate the arrival of Arisha, Nexon Europe revealed that an extra character slot will be allocated to all Vindictus players – so those that already have the maximum nine filled have more motivation to give Arisha a spin. Players who return to Vindictus and play with others during this period will receive bonus EXP. Those who play as a group can collect coupons which can be redeemed for an exclusive avatar outfit. Players who reach levels 15, 30, 45, and 60 can open up the Arisha Fighting Box and claim valuable potions, coupons, runes, equipment, and even a title! Dedicated players that get Arisha to level 85 during this event will receive a special title. Players who want to show their love for Arisha can do so by participating in the Facebook event and getting rewarded. For more details on Arisha, and to see videos of her in action, visit http://en.vindictus.nexoneu.com/promotion/december14/arisha.aspx. CD PROJEKT RED has announced the upcoming public beta for GWENT: The Witcher Card Game.